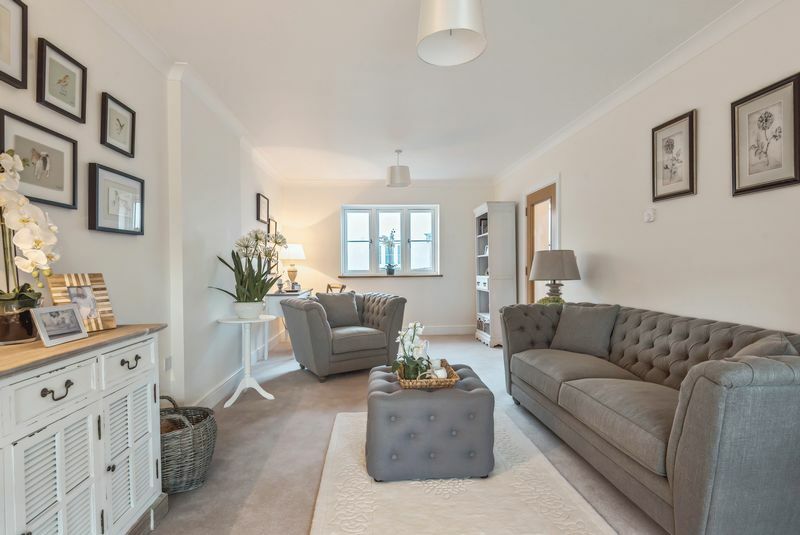 This superb and well specified brand new home is ready for occupation and is part of the high quality Stannary Gardens development by Blue Cedar Homes. 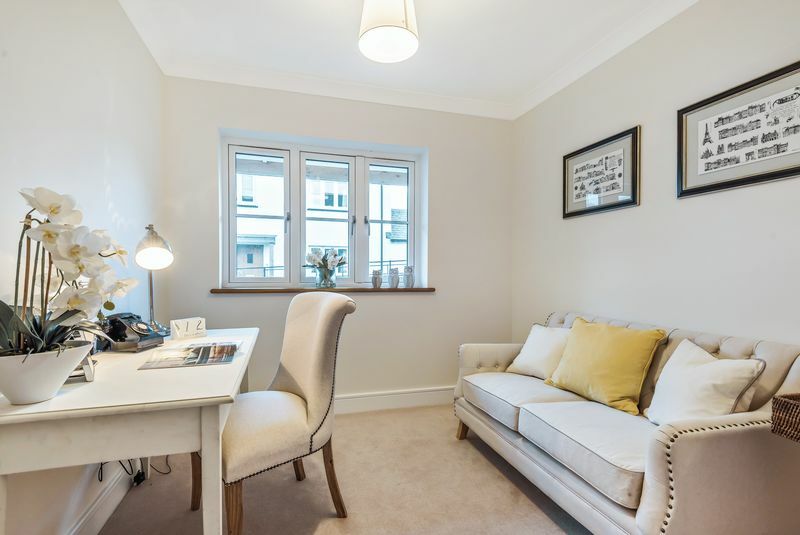 It is an age exclusive development for 55 year olds and above and offers a time rich retirement as much of the exterior maintenance is handled by a dedicated estate manager and team. The house is well planned with great attention to detail and finishes and a luxurious fully equipped kitchen with Neff appliances and granite work surfaces and elegant bathrooms with Duravit sanitary ware and Porcelanosa tiles. 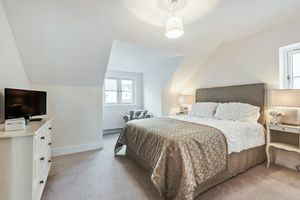 No 14 has a big double aspect through hall, a large shower/w.c., a dining room, sitting room and kitchen on the ground floor and upstairs off the bright landing is a master bedroom with ensuite and a second double bedroom with an ensuite bathroom. 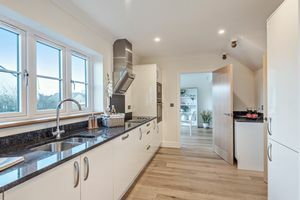 The house is built with good ecological considerations including a high efficiency mains gas fired boiler, high insulation levels, solar panels and double glazing throughout. Fowlers very strongly recommend viewing. 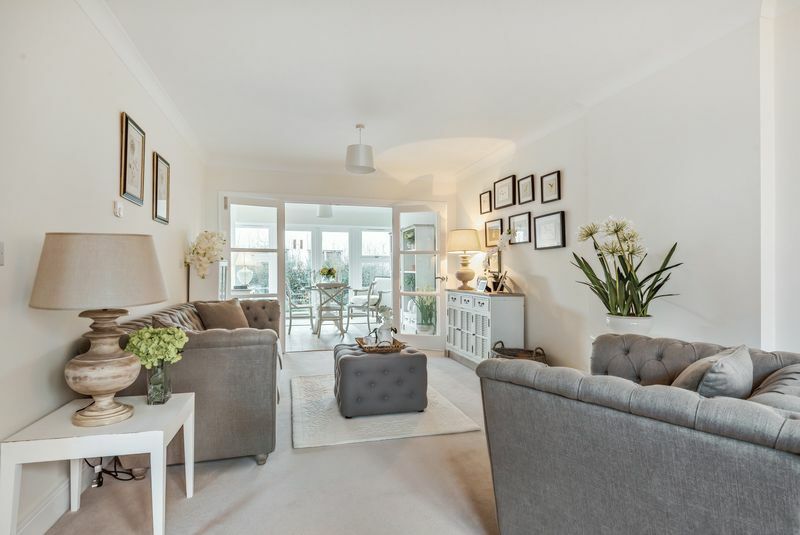 Stannary Gardens is a beautifully landscaped environment with iron railings at property boundaries, a brick paved roadway and drives, subtle street lighting and a small ‘village green’ with a summerhouse. It is only 300 metres to the bustling town square in Chagford where there is a wide variety of day to day and specialist shops, cafes, restaurants and pubs. There is a parish church, chapel and Roman Catholic church, a bowling club, tennis club, open air swimming pool and cricket pitch. 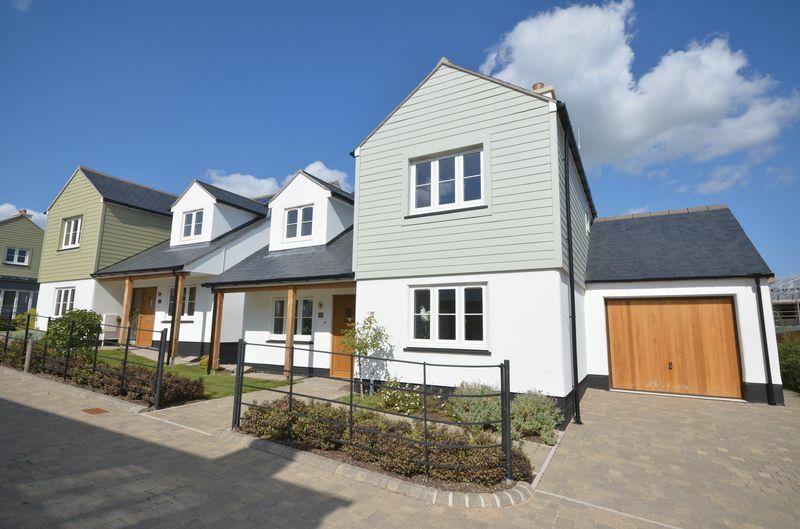 Chagford is surrounded by countryside and riverside walks and the open moor is close by. The A30 is just 5 miles away and Exeter is approximately 20 miles. A double aspect entrance hall with doors both front and rear and a glazed side panel alongside the rear door. An oak floored hall with underfloor heating and mat wells, a coved ceiling and two ceiling light points, oak veneer doors with marquetry inserts and a built in cloaks cupboard. A staircase leads to the first floor which has an understairs cupboard concealing the satellite booster, Open Reach point for a router, the circuit breaker box and an electric meter. 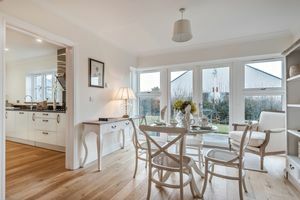 A bright sitting room with excellent natural lighting due to glazed doors looking through to the dining room which has bi folding doors onto the garden. The ceiling has coved cornicing and two pendant light points and there are ample power points, a T.V. and satellite point wall mounted. 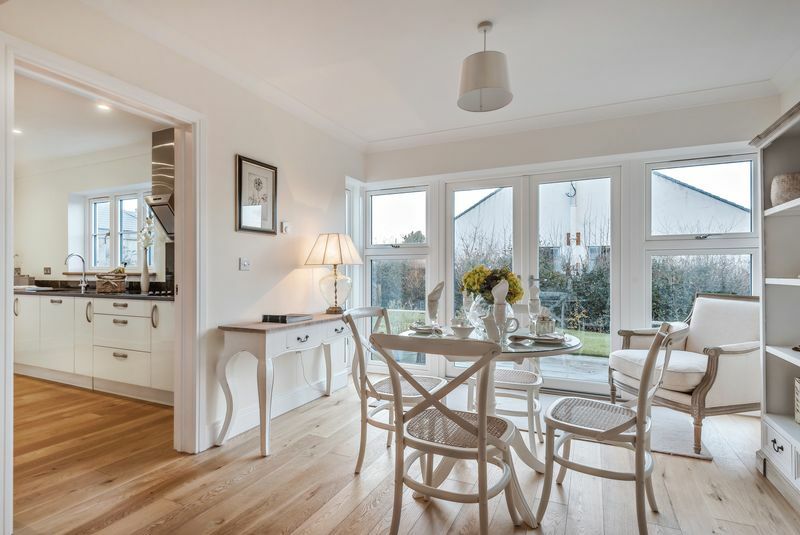 A bright and airy room with bi folding doors which open out onto the garden at the rear with 2 double glazed windows allowing in lots of light. The floor is laid to oak and has an entrance to the kitchen through a solid oak door. The kitchen is very well fitted with a quality range of base and wall cabinets with dressed granite splashbacks and work surfaces incorporating a carved drainer and a stainless steel sink with mixer taps. All major appliances are built by Neff and they include a halogen hob, an extractor hood and light, a fan oven, a microwave/convector, a fridge, a freezer and a dishwasher. A doorway leads back into the entrance hall or into the bright dining room. 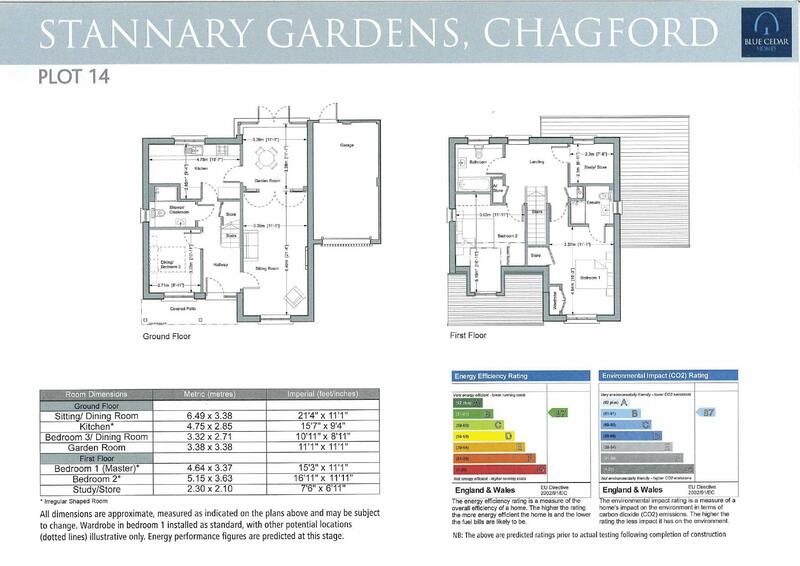 The floor is laid with engineered oak and has underfloor heating with a wall mounted thermostat and the ceiling is coved and has six downlighters. The shower room/cloakroom with a corner shower unit with glazed sliding shower screen doors, a built in thermostatic shower and contemporary style tiling. A contemporary style basin is fitted, a low level w.c. with a concealed cistern and there are tiled splashbacks. An obscure glazed double glazed window lets in natural light and there is a fitted extractor fan, a chromed electric heated towel rail. 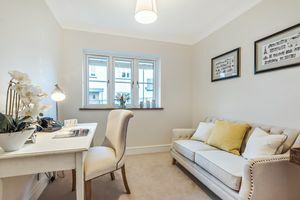 This room can be a dining room or converted into a downstairs bedroom by putting in a door into the shower room adjacent creating an ensuite shower room. It is carpeted with under floor heating, a large oak sill and a solid oak door. A large bright landing with a double glazed window to the rear, a large airing cupboard and storage cupboard. White painted balusters with hardwood handrails, coved cornicing, oak veneer doors, a wall mounted radiator and access to the insulated loft void. 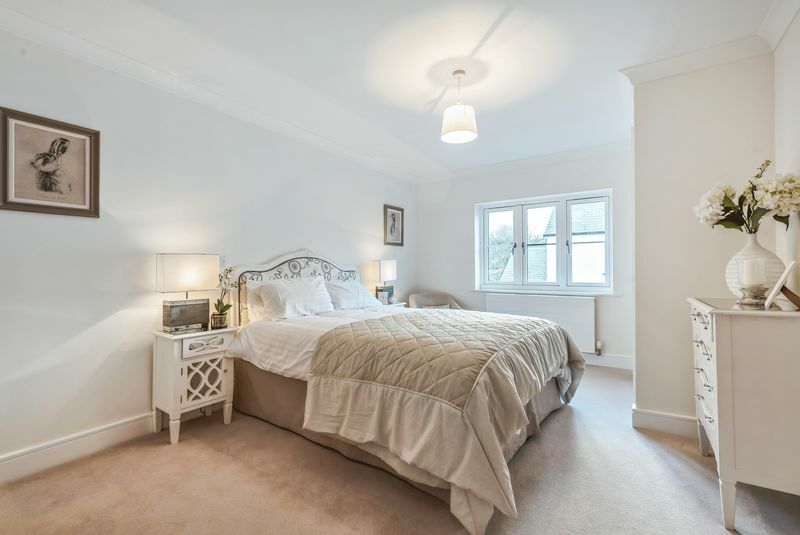 A generous master bedroom with a double glazed window allowing in lots of natural light. There is a built in wardrobe and cupboard with access to the en-suite bathroom. 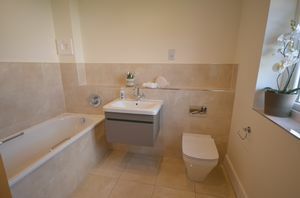 A smart en-suite bathroom with a tiled under floor heating. A low level w.c with a concealed cistern and a stylish contemporary basin with mixer taps. There is a large walk in shower with a waterfall shower head. A fitted shaver point is mounted on the wall, an extractor fan and an obscured glazed double window. A pleasant double bedroom, with a double glazed window, a pendant light point, T.V. and telephone points, a large wall mounted radiator. This study has a double glazed window which looks out onto the garden, a pendant light point and a wall mounted radiator. 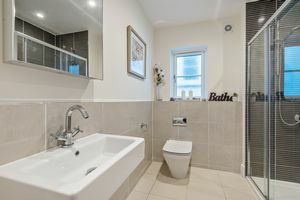 This bathroom has a tiled under heating with a low level w.c, a free standing sink with vanity draws beneath, a bath with mixer taps and an obscured double glazed window. A generous brick paved drive with length for two compact cars leads to the large garage which has a wooden metal framed electric up and over door, concrete flooring and power and light. Situated at the front of the property and enclosed with metal railings with freshly planted hedgerows. 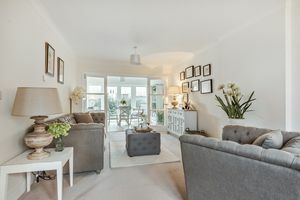 The garden is laid to grass with newly planted young shrubs and there is a paved path and a patio outside of the bi-fold doors which lead from the sitting room. From Fowlers turn right and walk down the Square passing the pharmacy and Old Forge Tea Room. Continue into Southcombe Street which at the right hand bend becomes Lower Street and at the bottom of Lower Street on the right is Stannary Gardens. There is an annual service charge which is set up to cover the expenditure associated with managing and maintaining the development with an element to cover periodic planned costs. Quarterly charge is £500.